SUPER SMASH BROS. TOURNAMENT: Due to the snowstorm, the Super Smash Bros. Tournament has been rescheduled for Wednesday, April 4th after school in the Audion. If you signed up for Thursday, you are already on the list to compete. If there are any conflicts with the new date, please see Mr. Wiley before Wednesday March 28th!! TALENT SHOW: The Talent Show that was originally scheduled for friday is postponed until Thursday, April 5th at 7pm. The acts will practice on Tuesday April 3rd and Wednesday April 4th after school. If you have any questions please see Mrs. Rizzo in room 106. MP3 grades will be finalized shortly after that. See Ms. Zieske with any questions. DODGEBALL: There will be a Dodgeball Tournament benefitting CAPT on Friday, April 6th at 4pm. All students and staff are welcome to play and can make up their own 5 person team, complete with school appropriate costumes or team uniforms. The cost is $10 per person and includes food. There MAY be prizes! See Officer Gibbs to register your team. 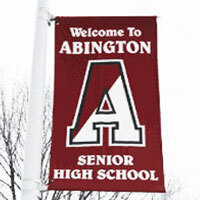 ABINGTON SENIOR HIGH SCHOOL – JOIN THE CROWD!! Be Abington High proud!! LIKE US ON FACEBOOK! Abington Senior High School shared a post. Take the time to stop and smell the flowers this spring break.